 Itinerary: For this route, which takes you practically along the whole hydrographic right-hand side of the Val Sermenza, leave from the hamlet Piaggiogna Superiore (2 km upstream from Boccioleto). The route is very pleasant, not only because it is shaded by a large variety of trees – lime, sycamore, oak, ash, white alder, poplar, chestnut, birch, willow and cherry – but also because it is lined with precious treasures and with historical evidence of previous settlements. Follow the mule track to Piaggiogna Inferiore and to the Sermenza stream. From here the real route begins (from Piaggiogna, cross the stone bridge over the stream and take the mule track on the right) following the sign no. 377. Cars can park a few metres before this little track begins. Continue to follow the signs for no. 377 until you reach Selletto (1 hr 30 mins from Piaggiogna). Alpe Selletto can also be reached from Fervento following path no. 378 (1 hr 45 mins). Points of interest: the 16th century oratory of San Martino at Piaggiogna Superiore; the chapel of San Gaudenzio at Piaggiogna Inferiore; the oratory of San Quirico at Palancato; the religious complex of Madonna del Sasso (Madonna of the Rock) with the historical frescoed walls, frescoes on the houses, and the small chapels.